You will recall that Youtube has been experimenting different ads format and one of these ads, is the thirty seconds (30) ads format which is normally used by her advertisers. In a recent blog post by the product manager of the popular video sharing site, Zach Lupei said YouTube has been exploring formats that are better-suited for smartphone video watchers. Hence the creation of Bumper ads — video ads that are only six seconds long became necessary. Advertisers are made to understand that this ads is targettable to smart phone users but will still be shown to other devices too. Recent studies have proven that mobile phone users tend to stream more videos on Youtube than with any other devices and i will say this is greatly influenced by the convenience and portability a mobile phone comes with. The six-seconds ads format is another great way for advertisers to push their products to their targeted consumers and according to them, the concept of a six-seconds ads is not new since its inspiration was gotten from those brief TV commercials. It will not be a nice idea sitting before a thirty seconds long ads video when you planned on watching a video that may be shorter than the duration of the ad clip itself. Pretty, i think this is a good idea. 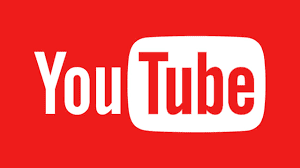 It was also revealed that the six-seconds bumper ads video won't be Skippable as it is seen in the thirty seconds video since it is very short.At the same time, YouTube is pitching this as a complement, rather than a replacement, to its existing ad formats. The idea is that an advertiser could run a YouTube campaign centered on a longer video, then use the brief Bumper ads to reinforce the message or reach more viewers. And since they’re so short, the Bumpers won’t be skippable. I really think this may be a great complement. Left for me, they should have also added the Skippable ads button to the six-seconds video because the annoying nature of some silly ads there.Anyway, Publishers are going to generate more money on Youtube since this ads ain't skippable. Well! i believe you've got something to say regarding this new development, use the comment box to speak your mind below.